Fine Art Limited Edition of 50 - Naturally occurring mudcracks form in sediment that was once saturated with water. Abandoned river channels, floodplain muds, and dried ponds are localities that form mudcracks. Mudcracks can also be indicative of a predominately sunny or shady environment of formation. 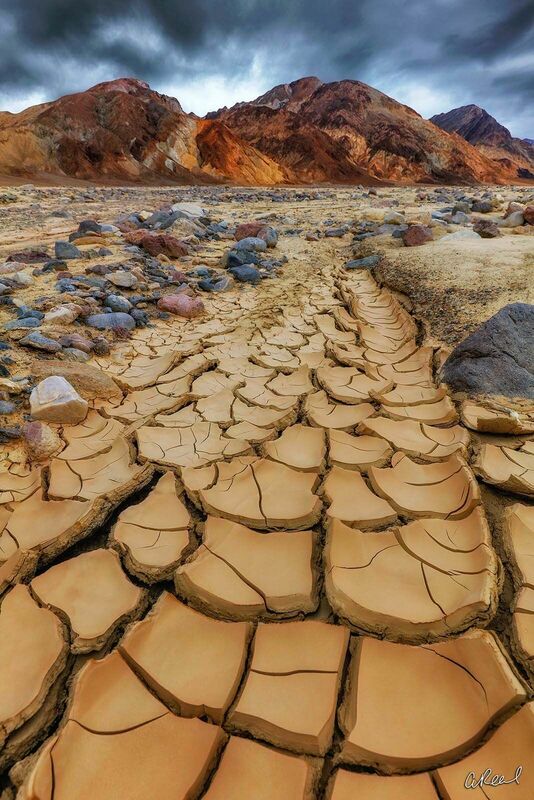 Rapid drying, which occurs in sunny environments, results in widely spaced, irregular mudcracks, while closer spaced, more regular mudcracks indicate that they were formed in a shady place. Similar features also occur in frozen ground, lava flows (as columnar basalt), and igneous dykes and sills.